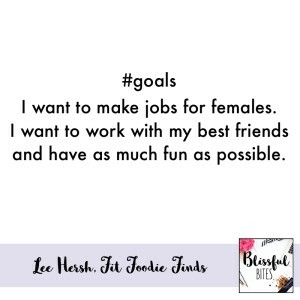 Lee Hersh is the blogger and business women behind Fit Foodie Finds. 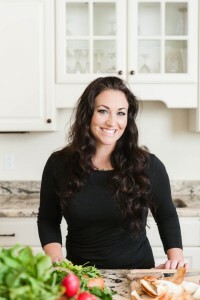 She is a healthy recipe creator, food photographer, risk-taker from Minnesota. She co-runs the Blogger Project which is dedicated to bloggers learning more about the ever changing industry. Lee has transformed her website from just a recipe blog to an entire wellness brand. She is always having fun creating the next best recipe, showing her infectious personality on snapchat and she makes getting a good sweat in fun! How did you start Fit Foodie Finds? I started 5 years ago, at that time I was a junior in college at the University of Minnesota and my sister and I loved to read healthy living blogs. She just said why don’t you start a blog? The next day I just jumped right in and started a website called College Foodie Finds. It was more to chronicle my journey in college and live healthy. I was posting more educational stuff, I was not really creating content at that time. Things morph, 6 months later I changed it to Fit Foodie Finds and then I really started focusing a lot more on food and sharing the recipes that I was eating in my own home. Today things are a lot different. I not only focus on healthy recipes but I’m really trying to incorporate more lifestyle into my website, more workouts, and travel and just like general life updates. How do you sum up everything you do? I say that I run a food and lifestyle website then I also mention that I run kind of like an educational consulting platform where Davida from the Healthy Maven and I kind of mentor other bloggers into how they can also run their blogs as businesses. What has been your most proud moment out of everything? I think every single day is a proud moment for me being able to wake up kind of just have the realization that I plan my day and it’s completely different from the day before and that I run my life. I run the business and every single aspect of my day. It randomly hits me throughout the week, I can get really stressed and then I can just take a step back and say, Oh wait! This is awesome. This stress is awesome. What is your biggest flop/disappointment? Tell me more about The Blogger Project. We really wanted to create a space where we just are very transparent about how we’re making money, how we’re pitching brands, what’s working and what’s not. That’s the whole goal of The Blogger Project. It’s really to create a community and to create conversation around blogging and business. Biggest piece of advice who are just starting. It’s just get started and roll with it. Do you have a company/business owner/mentor that you looked up to? I love Pinch of Yum. They’re based in the twin cities and I’ve met Lindsey in real life and they have become mentors to lots of different bloggers because of her transparency in business. Also Dana from The Minimalist Baker; her creativity and her work are sheer amazing. I always kind of looked up to her in micro photography and the food styling aspects of things. And any site with podcasts out there. I learn so much on podcasts, hearing other’s stories. Even Martha Stewart, she just created this monstrosity of a brand and I’ve always liked her and I secretly wanted to be like her because she has kitchenware then she moved into bedding and it just shows how a brand can evolve overtime. Where do you see yourself and your business in 5 years? I wish I could predict the future because I have no idea what the internet is going to look like. If I was doing exactly what I’m doing today in 5 years, I would be very happy. I want to have kids, I want to raise them, I want to be at home with them and I also want to make 6 figures at the same time. Now, I like to take on a lot of projects so I could see myself kind of dipping my hands into some other businesses, not starting them but kind of joining a team of a business or two in the food space probably. What is your secret online tool? For blogging I love Coschedule it is a content calendar scheduling tool and I swear by that. I love it, it’s visual, it helps me categorize and stay on tract. Another tool that I just picked up over the past year is called Wunderlist and it’s pretty much just this app and syncs with your desktop and your phone but it allows you to create lists. It’s kinda like to-do list but it’s virtual instead of written. How do you find a way to stay balanced? It has been a work in progress. I think that it’s hard to, beyond vacation to completely disconnect from your business just because social media lives on and doesn’t just like stop at 10 pm and pick back up the next morning. There are little things that I try and incorporate in my everyday to stay balanced. What has been a successful technique for your company? In the summer of 2015 I partnered with Ambitious Kitchen. Monique is amazing. She is actually from Minneapolis but she lives in Chicago now. We met on a press trip and we came up with the idea to host something called the Summer Sweat series on both of our websites. There is something we call the summer slump where in the summer months traffic kind of dips, engagement is low. It was a food plan mixed with workouts and kind of a guidance of a nutrition plan. It was a big risk because it was so much work but we’re moving forward with 2016 and we’re really excited and we might implement it twice this year. It was a really cool thing where we stepped out of our comfort zone and a really good thing came from it. How did you manage to build a team around you? Last year I was swimming in work and I decided that I would love to have someone who can help me manage social media, be there to assist in my photo shoots and just have someone to bounce ideas off of. So I hired Linley who I went to college with and she is just amazing. I feel like she kind of keeps me afloat. She just brings great energy to the business which is invaluable to me. In October, I brought on Emily as a brand manager. Enter our February Podcast giveaway (2 jars of Wild Friends Nut Butter, Variety pack of 7 soups from Splendid Spoon, 1 bag of Blissful Eats granola and Thinner in 30 by Jenna Wolfe) by filling out the form below AND/OR writing an iTunes review and sending a screen shot of it in an email to me! Find me on social media and let me know what you think! Lindsey is a mom to 2 boys and enjoys traveling the world with her family. 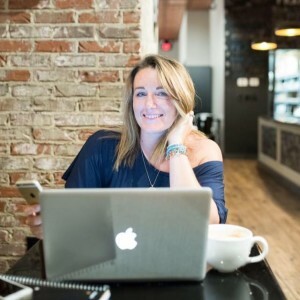 As a photographer and social media junkie, Lindsey works with female entrepreneurs to fine tune their online presence and build brand confidence. She works with women to show you that you should have confidence in your brand and know that you should not spend thousands on perfecting your image. Lindsey has been able to really help female entrepreneurs fine tune their online presence and build brand confidence on and offline. Social media is a visually captivating platform that you really have to have eye for graphic and design as well as the social aspect of it. What should entrepreneurs be focusing on if there working on growing their brand? The things that you should definitely be working on is being consistent across all areas of business whether that’s your specific website, connecting with your network or just creating posts seen by the masses. What would you say is your favorite social media platform? It would definitely be Periscope first and Instagram second. I say Periscope because when you get on to a live streaming network like Periscope you are able to reach new people every single day, with very little effort and you talk about topics, meet new people and then they share it with their audiences. You really don’t have to do much work other than show up. Do you have quick tips for people who are nervous about their first live broadcast? The number 1 answer is to just do it. Stop worrying about the planning and looking perfect and having everything set up nicely. Just get on there, start talking and then write down some ideas afterwards or things you can change and make it better every single time. How do you style and edit pictures? My favorite way to style pictures is with a simple background because it is visually appealing. 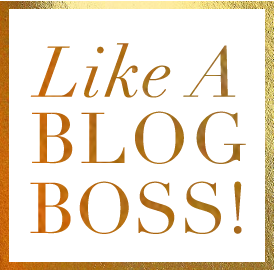 This is going to be the best way for you to get your vision and your message across through beautiful picture without too much clutter and chaos. For editing pictures, I do a lot of in phone editing underneath your actual photo album. One of my favorite apps would be the Color Story app. It’s a brand new app that is absolutely changing the way I create my images. What would be your number one piece of advice to just start? Next to just getting out there and doing it, have your content pre-planned out. Plan ahead of the time, create a content calendar, write out what you are promoting and when you are marketing those promotions so that people will start to get to know you and what you have to offer. What is your social media pet peeve? 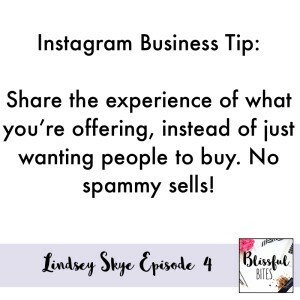 One of the biggest things that drives me nuts is spammy sells and that is simply when people aren’t sharing the experience of what they are offering, they just simply want you to buy. What are the 3 things that they can do other than posting photos of their product? Give a testimonial of the few previous clients that you had. Share your story and why you are so passionate about your product and services. Layout a way for them to contact you and receive something in return. Start a newsletter, give them something free and start the relationship without actually selling the product right up front. What would be your piece of advice for entrepreneurs who are ready to take their brand to the next level? Create a brand identity for yourself. Think about how many times you’re showing up per day on social media, how well your engaging in the audience that you have built and how you follow through with this audience. Make sure that you are following through with this relationship outside social media. What are 3 action items they can do right now to help their brand? Connect with the people you have in your network. Start sharing your story, passion, and message. Plan out a strategy and create a plan to implement it. What is your favorite online tool? I absolutely rely on the power of Google and I think that is something people often forget. Besides using the most powerful search engine ever, I also absolutely love Creativemarket.com. This is where I get so many inspirational pieces of design work and fonts which are my absolute favorite part of design. Tell us one thing that you do in your day that contributes to your success. I get up really early and that is one thing it’s non-negotiable, I drink a ton of coffee and I’m always consistent. 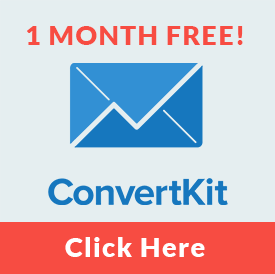 FREE DIY BRANDING KIT: gives you the jumpstart you need to get your brand identity in line. This is everything from creating colors and fonts in your products. 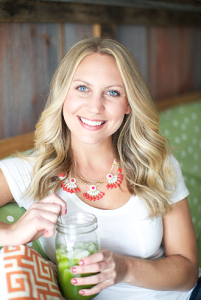 Jessica Merchant is a full-time recipe developer, content creator and blogger. 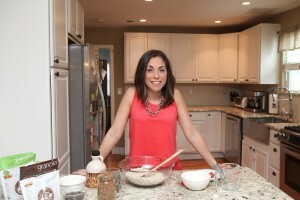 She has been writing the food blog, How Sweet Eats, since 2009, when she finally discovered a way to mesh her passion for building recipes with one of her other favorite things: writing. She is madly, outrageously, inexplicably in love with food. In 2014, she released her first cookbook, the best-selling Seriously Delish. She lives in Pittsburgh, Pa with her husband Eddie and son, Max. In her spare time, she loves reading, writing fiction and practicing yoga. And margaritas. Obviously. Where she finds daily inspiration from. Her proudest moment so far in her business journey. How did you get the idea for How Sweet Eats and how did you get started? I truly got the idea because I was stuck in an office job that I swore would never work from the time when I was little. I knew that I didn’t want to work in an office or in a cubicle and that is what I found myself doing. And I didn’t have much to do. I think that I came across blogs but I really wanted to start a lifestyle blog and at the time I didn’t really have the means of doing one. I mean I didn’t have any photography, I sat at this desk from 8-5 and so I decided that I would just write about what I was cooking for dinner. I guess sprinkle in with some lifestyle things and I didn’t tell anyone that I started it. I didn’t know anything about blogging, I didn’t know anything about the technical side, I didn’t think about a name… I truly didn’t know. I just started like a little personal diary on the internet. But the way I truly got started is when I went to free Wordpress and picked a line from my favorite James Taylor song and went from there. “I am such an all or nothing person. It’s a horrible thing but I am just so passionate about the things I love and so just don’t care about the things that I don’t. What has been your most proud moment so far? 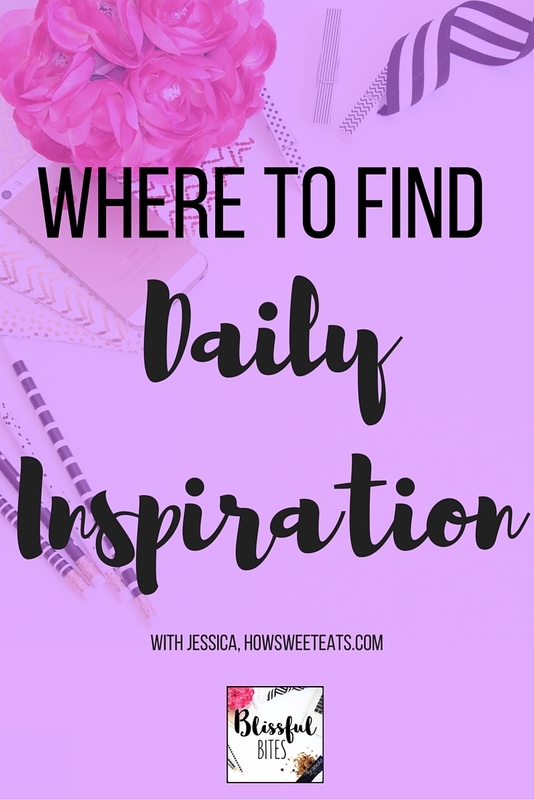 Where do you get your daily inspiration from? Where do you see yourself and your company in five years? She sees herself writing a novel and she is also working on a tween fiction series right now. She would love to see these things as her main career but still be able to do her blogging. That’s definitely my biggest challenge since having a baby. Before having a baby I could work 80-100 hours a week and never felt burnt out. Now I’m definitely struggling to find that work-life balance. What do you do that makes each day successful? Obviously I look forward to a cup of coffee every morning but what I’m really into is bullet journaling, which is creating my own planner with a notebook. 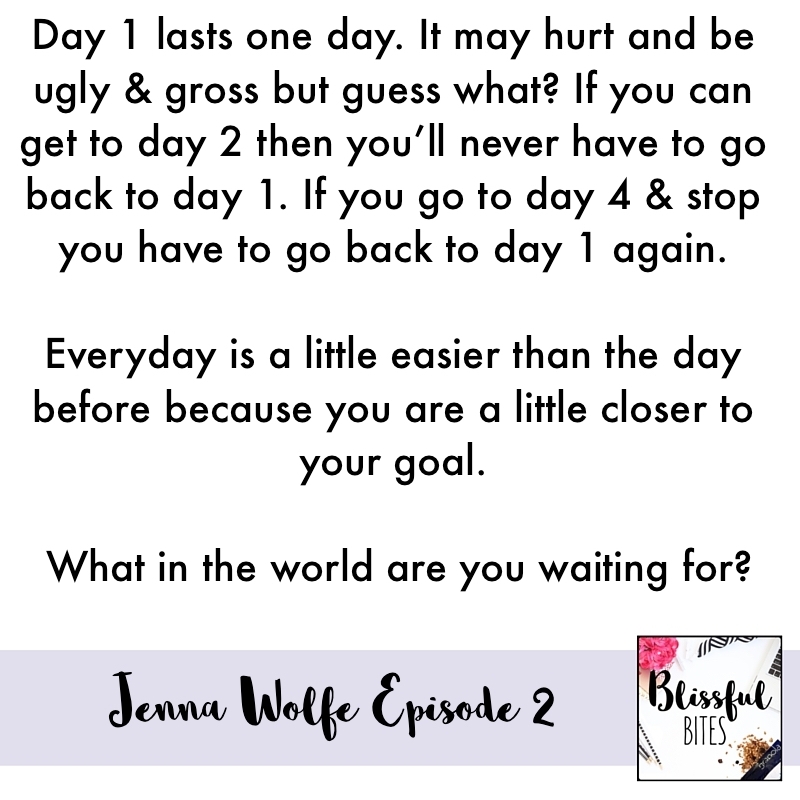 Jessica finds inspiration on the DAILY and works hard to avoid the comparison trap. Want to hear how? To hear more from Jessica, listen to her masterclass from the Food Entrepreneur Summit for free here. If you’ve been stuck in the comparison trap, or are there right now, then you need to get out! You need to figure out how to move on, get inspired and get back to creating great content for your audience, then watch the summit masterclass for free! 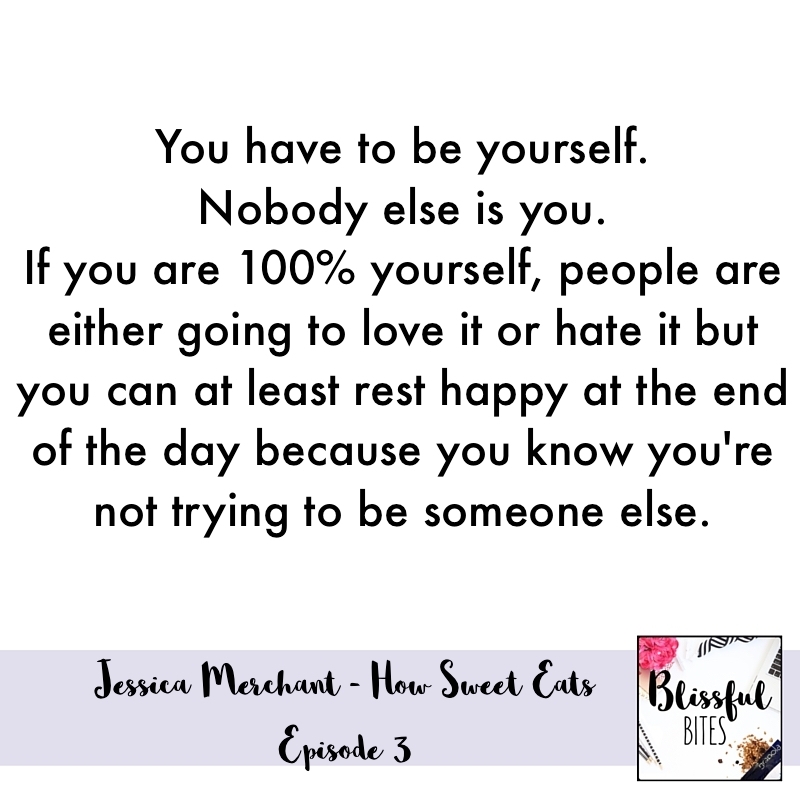 Jessica is a completely self-taught photographer and recipe developer, has a true way with words, and shares herself through recipes, daily musings and, of course, on Snapchat. Jessica loves neon colors, lip gloss, bacon and most importantly is a mom and wife. What a whirlwind week! The Blissful Bites Podcast has gone off and it’s on it’s way to 500 downloads. I would love to hit that before the week’s over. This podcast has been all about your help and support…seriously. Without you, it wouldn’t be doing so well! I posted a few posts here this week, so I wanted to kind of play catch up to make sure you saw them all! 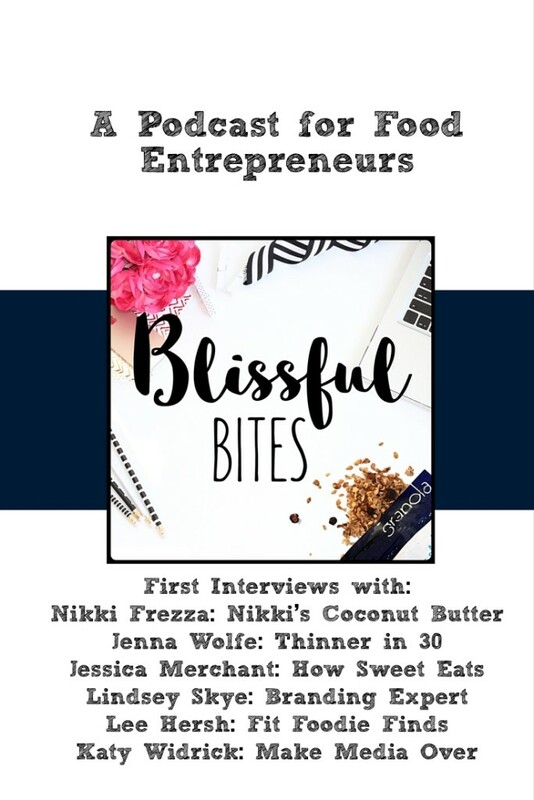 The Blissful Bites podcast launched this week with 3 episodes, the About Me episode and interviews with Jenna Wolfe and Nikki Frezza from Nikki’s Coconut Butter. The show notes for each episode will always be under the podcast tab…or you can directly go to NicoleCulverblog.com/podcast. I’ll have interview highlights as well as the images and promo videos. 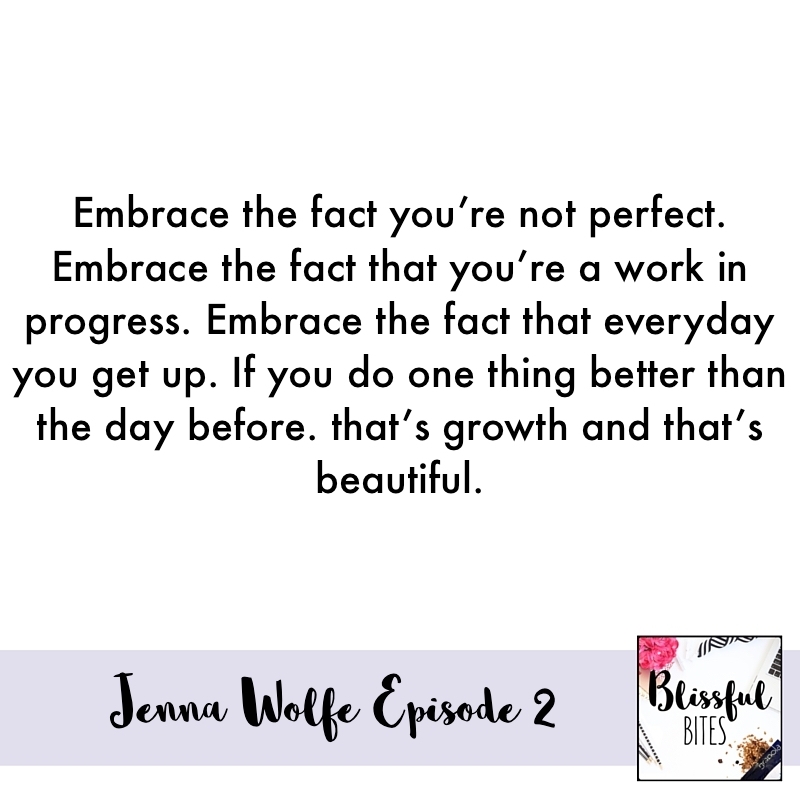 So in the past week I’ve published Jenna Wolfe’s show notes, Nikki’s Frezza from Nikki’s Coconut Butter’s show notes and my About Me show notes. I’ve also published a compilation of fantastic tips from all 10 interviews I’ve done with all of their best advice on how to get started. It’s a great print out for motivation! So now…I’m asking you all for a few favors! 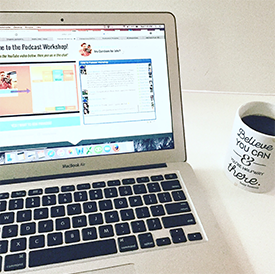 The beginning stages of a podcast are SUPER important...so I could use some even more help. Subscribe. This is the most important! Share. Share with anyone you think would love a listen. You can tweet, text, pin an image from this post. Click here to tweet out the podcast. Write a review! This would be SUPER helpful too. You can write a review here! Let me know what you think of the podcast! I’m SO psyched to launch this podcast today! Its been a lot of sweat and hustle over the past few weeks interviewing AMAZING women. I want to tell you all about why I’m starting this podcast and what you can expect today. I’m starting this podcast because we all need some motivation and inspiration. When I started Blissful Eats I was always researching, reading and looking for stories of how entrepreneurs got their start. This podcast is it for you. You’ll hear entrepreneurs share their successes, struggles, lessons learned. I have no doubt you’ll walk away inspired and with something to go do! My goal is to share information, ideas, and just be transparent. I want this to be a place for you to hear stories, inspiration and navigate the craziness of the food industry. If you’ve been reading my blog, or following me on social media any where you know I’m passionate about helping other women get their start. My goal is to share information, ideas, and just be transparent. I want this to be a place for you to hear stories, inspiration and navigate the craziness of the food industry. I’ve got amazing guests lined up. Each week I’ll be sharing video promos to get to know our guests plus inspirational quotes. I’ve interviewed Nikki Coconut Butter, Jenna Wolfe, Lindsay Skye, Jessica Merchant from How Sweet Eats, Lee Hersh from Fit Foodie Finds, Katy Widrick and so much more. Each week I’ll bring you two people, a food entrepreneur and a business episode. My favorite thing about laughing this podcast is connecting and chatting with these amazing women. You can find the podcast on iTunes, Stitcher and here on my blog. More places to find me! Let me know what you think! 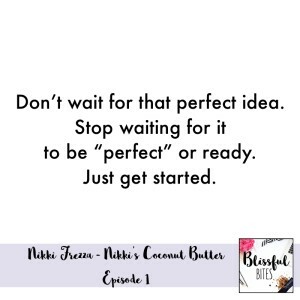 Nikki’s the owner of Nikki’s Coconut Butter and she is a self-described workaholic and loves a good challenge. 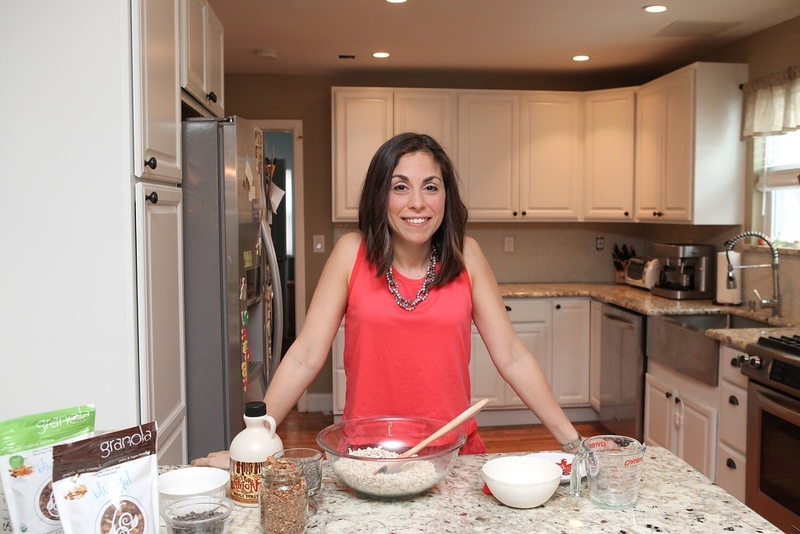 She is the co-founder of Nikki’s Coconut Butter with her husband Andrew together they enjoy coming up with new and innovative ways to grow their business, develop new flavors and creating a business they truly love. Don’t overestimate your production power. Don’t over sell if you don’t have a plan for it. Plan out your best case scenario. Can you handle the demand? Make sure you look over your expenses and stay on top of them regularly. Think about a Radio DJ. If he tries to please everyone and plays jazz, rap, country. He’ll please nobody. The whole idea is to try to target that small niche group. Justin’s nut butter. “He has really been a pioneer in that sort of nut butter industry doing a lot of things differently and I really admire that. Mary’s Gone Crackers, she sells this gluten-free crackers and she’s been doing this since the 80’s and this lady, back in the 80’s gluten-free wasn’t a thing, so she really pioneered that. What do you do to make your day successful? Keep a gratitude journal – write down 3 things your grateful for. What’s your advice to those starting out? Don’t wait for that perfect idea. Don’t wait for it to be “ready” or perfect. A lot of times your customers will help you make it better. Let your customers give you feedback and let them make it better. My favorite tool right now is boomerang at gmail and its basically something that you can download and add to your gmail account and it helps basically just like a boomerang kind of brings your emails back. So if you are scheduling a follow-up, if you are writing an email to someone that you are hoping to get a response from soon. This boomerang feature allows it to come back to you whenever you want it to. Nikki’s Coconut Butter on instagram. Would you leave me a rating and review? I would SO appreciate it! 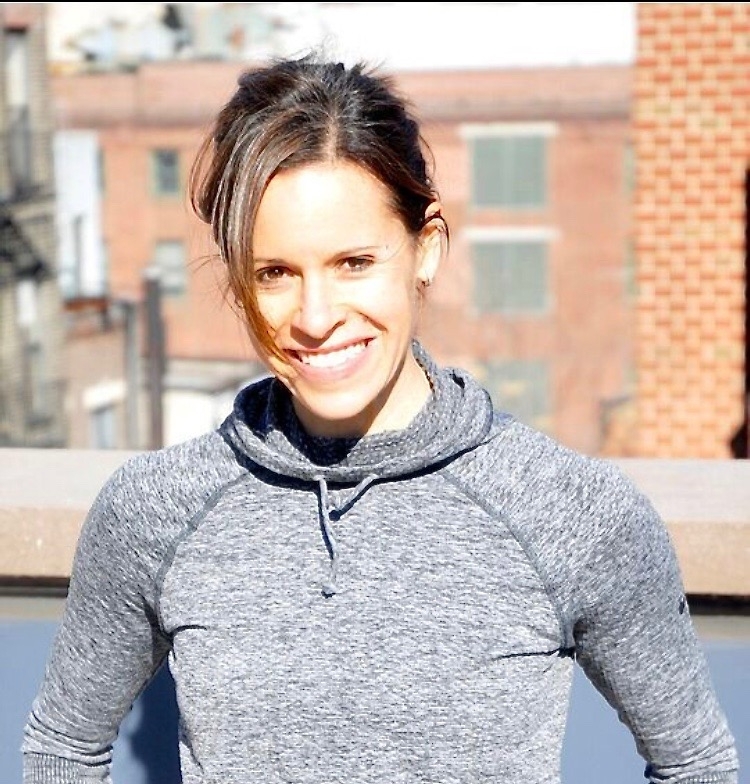 Jenna Wolfe is a TV journalist and Lifestyle and Fitness expert. She’s been sharing her passion for fitness (and fun) with America for the last 20 years, most recently at NBC’s Today Show, where she was the first ever Lifestyle and Fitness correspondent. Jenna was a sportscaster from 1996-2007 and saw firsthand how treating and training your body can lead to dynamic results on a playing field. As a certified personal trainer, she’s now focused on taking that passion and knowledge and sharing it with you. 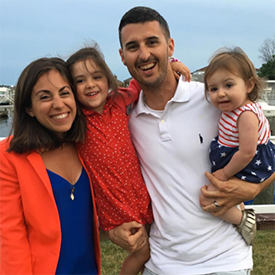 As a mother of two little girls, she knows the burdens of baby weight, of making the most of the precious time we all have and of the struggles with eating well on a daily basis. Jenna recently published the book Thinner in 30: Small Changes that Add up to Big Weight Loss in Just 30 days. This book offers an accessible, extensively tested program focused on making small changes (1 per day) for maximum results. It’s intended for a wide audience, from the health conscious to those who wish to lead more healthful lives to parents and many others. Brushing your teeth the second you are done with your meal. Mint curbs that craving. Whether you put a piece of gum in your mouth after lunch or you brush your teeth, it will stop you from eating more. What is the biggest takeaway of the book? It doesn’t matter if you’re man, woman, athletic, non-athletic, in-shape, not in-shape, we’re all in a different journey. We’re all made up of different bodies. Every single body works, responds and reacts differently. What works for you might not work for anybody else. I put this book together with all different tips and little ways of convincing yourself, they are small, easy digestible, doable things. There’s something for everyone. How has your life change since the Today show? I used to work 5-6 hours a day and now I works 5-600 hours a day. It’s constant. There’s a lot of responsibilities now that digital has met Broadcast TV. I’m constantly trying to battle my social media sites, my personal website, touring with the book, trying to get the message out there, be available for like Microsoft and be still doing TV for Dr. Oz. It’s just a lot of balance but most importantly I’m there to spend a little more quality time with my kids. What’s the number 1 piece of advice you give to someone starting out on their journey whether it’s losing weight, getting healthy or just starting to exercise? If you decide to do something crazy adventurous and daring – you’re either going to soar or you’ll be proud of yourself for taking that chance. Change doesn’t happen in a day, and if it did we’d all be perfect from day one. Morning routine – Coffee and the news with my partners and two daughters. It literally drives me. I look forward to that time more than anything else. It’s really what gives me my drive, energy and fuel. The emotional fuel, where I can say okay I have my fill and I can go on with my day. There’s no game plan in life that’s fool proof. Somethings will work like a charm and some things won’t. Deal with the lows the same way you deal with the highs. You have to adjust your expectations. You cant always close up shop and go home because things didn’t work out like it was supposed to. we all have to fall before we stand up. If you have something you believe in whole heartedly, own it. Drive that thing and don’t be dismayed at no. It’s a tiny barrier before someone says yes. It is doesn’t challenge you, it doesn’t change you. Cultivate. Let it grow. Believe in it. and have confidence.